Oncothyreon Inc (USA) (ONTY): Are Hedge Funds Right About This Stock? Oncothyreon Inc (USA) (NASDAQ:ONTY) was in 9 hedge funds’ portfolio at the end of the fourth quarter of 2012. ONTY shareholders have witnessed a decrease in hedge fund interest recently. There were 10 hedge funds in our database with ONTY positions at the end of the previous quarter. In today’s marketplace, there are a multitude of indicators market participants can use to track publicly traded companies. Some of the best are hedge fund and insider trading interest. At Insider Monkey, our studies have shown that, historically, those who follow the best picks of the best money managers can outpace the S&P 500 by a significant amount (see just how much). Just as key, positive insider trading activity is another way to parse down the marketplace. There are plenty of reasons for an insider to sell shares of his or her company, but just one, very obvious reason why they would behave bullishly. Several empirical studies have demonstrated the impressive potential of this tactic if shareholders know where to look (learn more here). Now, let’s take a peek at the key action surrounding Oncothyreon Inc (USA) (NASDAQ:ONTY). How have hedgies been trading Oncothyreon Inc (USA) (NASDAQ:ONTY)? In preparation for this year, a total of 9 of the hedge funds we track held long positions in this stock, a change of -10% from the previous quarter. With hedgies’ capital changing hands, there exists an “upper tier” of key hedge fund managers who were increasing their stakes considerably. According to our comprehensive database, Andreas Halvorsen’s Viking Global had the biggest position in Oncothyreon Inc (USA) (NASDAQ:ONTY), worth close to $6.5 million, comprising less than 0.1%% of its total 13F portfolio. Sitting at the No. 2 spot is Phill Gross and Robert Atchinson of Adage Capital Management, with a $1.8 million position; less than 0.1%% of its 13F portfolio is allocated to the company. Some other peers that are bullish include Kevin Kotler’s Broadfin Capital, D. E. Shaw’s D E Shaw and Jay Venkatesen’s Ayer Capital Management. Since Oncothyreon Inc (USA) (NASDAQ:ONTY) has faced falling interest from hedge fund managers, it’s safe to say that there were a few money managers that decided to sell off their positions entirely last quarter. It’s worth mentioning that Jay Venkatesen’s Ayer Capital Management dumped the largest investment of the 450+ funds we key on, worth about $11.3 million in stock., and Samuel Isaly of OrbiMed Advisors was right behind this move, as the fund said goodbye to about $7.8 million worth. These moves are important to note, as total hedge fund interest fell by 1 funds last quarter. 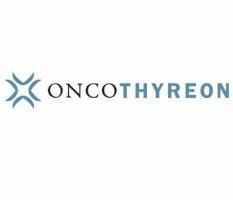 What do corporate executives and insiders think about Oncothyreon Inc (USA) (NASDAQ:ONTY)? Bullish insider trading is best served when the company in question has experienced transactions within the past 180 days. Over the last six-month time period, Oncothyreon Inc (USA) (NASDAQ:ONTY) has seen zero unique insiders purchasing, and zero insider sales (see the details of insider trades here). Let’s also review hedge fund and insider activity in other stocks similar to Oncothyreon Inc (USA) (NASDAQ:ONTY). These stocks are Vanda Pharmaceuticals Inc. (NASDAQ:VNDA), Cell Therapeutics Inc (NASDAQ:CTIC), NeoStem Inc (NYSEAMEX:NBS), and Biota Pharmaceuticals Inc (NASDAQ:BOTA). This group of stocks are in the biotechnology industry and their market caps are closest to ONTY’s market cap.